Tripp Ryder – Racing for a loose puck! Kara McKean (L) Laurie Wood, US Navy Veteran & US National Team Member (C) Asia Washington (R) – What an honor to get your picture taken with a member of the Women’s US National Sled Hockey Team who is also a Disabled Military Hero – US Navy Veteran. Jeff McDaniel (L) and Brian Rehm (R) Talking strategy before the game. 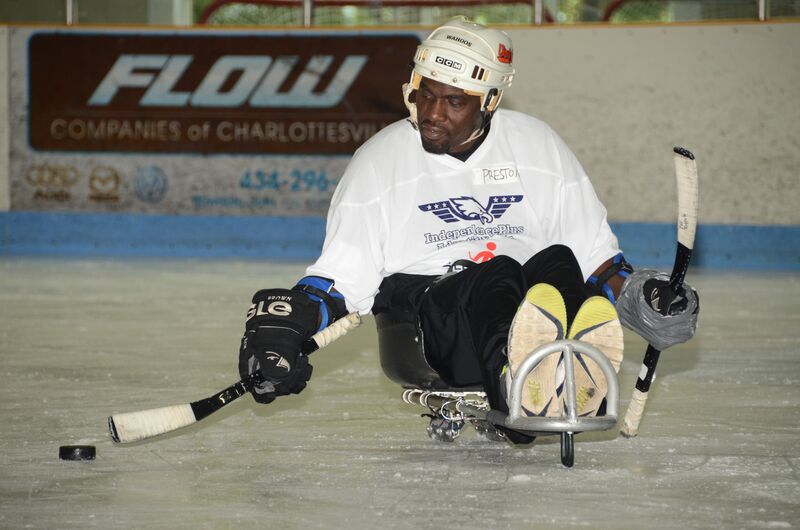 Preston Curry (Disabled Military Hero) Getting ready to shoot the puck! 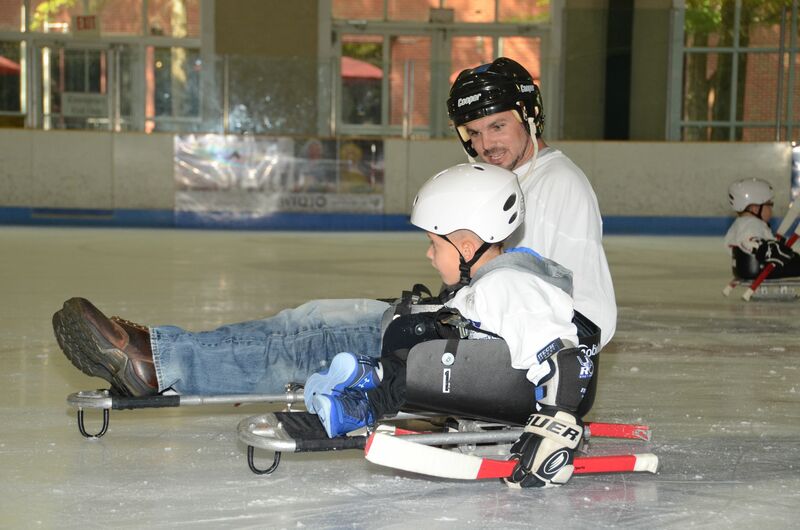 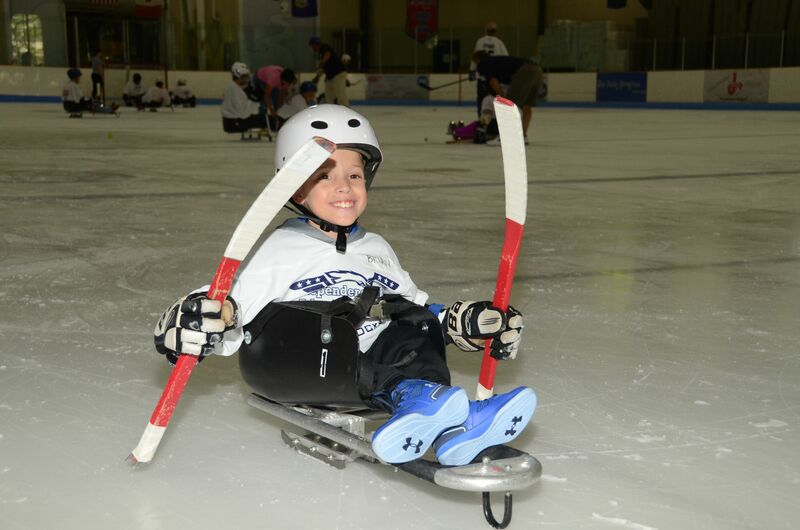 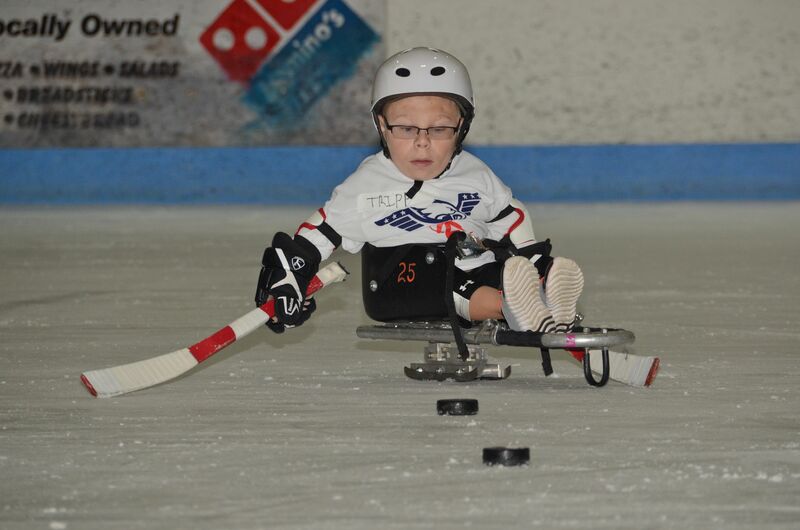 Brian Rehm – Our youngest Sled Hockey Player – Happy to be skating and playing hockey for the first time! Doug Galica (back) and Brian Rehm (front) Skating together! 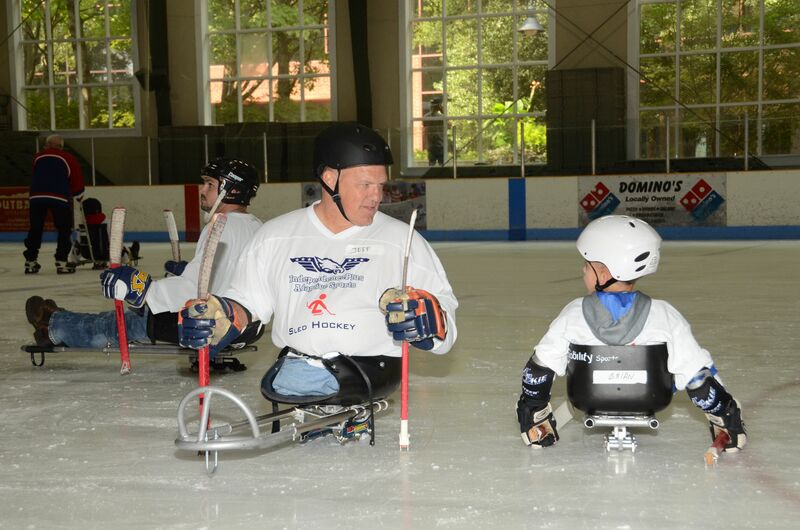 These guys ski together, too! 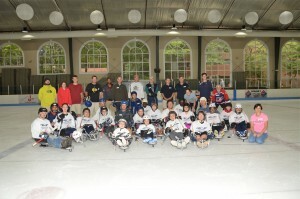 Team Photo – 1st Ever Sled Hockey Clinic. 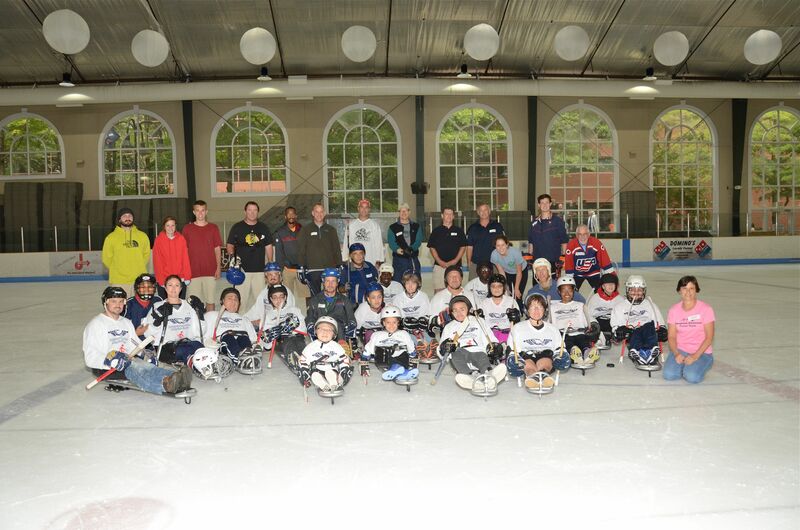 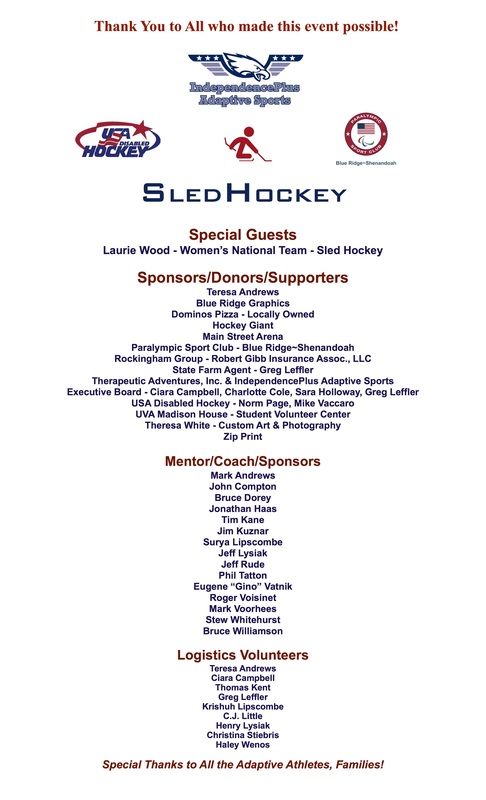 Thanks to our special guests from USA Disabled Hockey – Mike Vaccaro & Laurie Wood, ALL our Adaptive Athletes & Families, our Mentor/Coaches, our Logistics Volunteers, and our Sponsors and Donors. 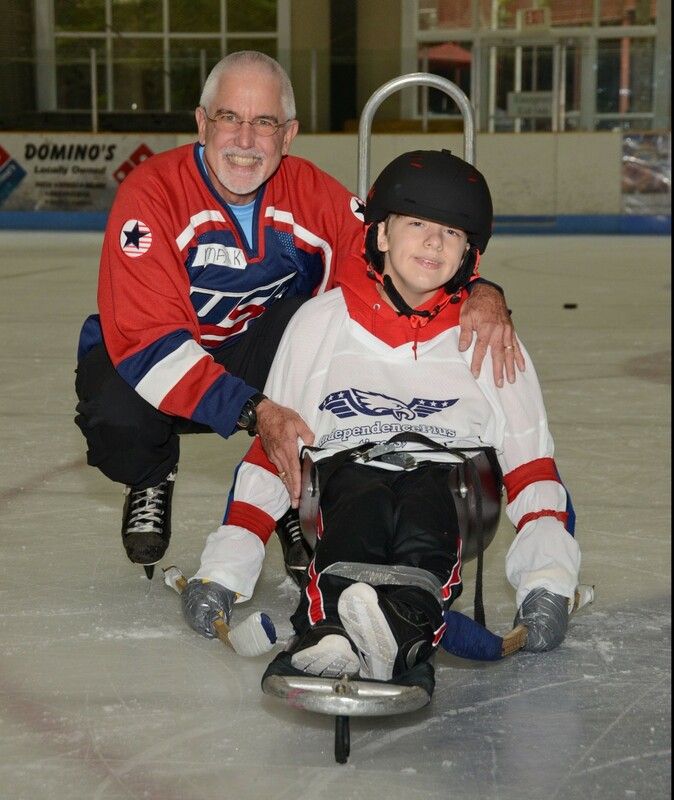 Mark Andrews, Founder/ Exec. 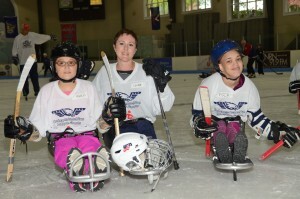 Director Therapeutic Adventures – IndependencePlus Adaptive Sports (L) with partner Chloe Sutterfield (R) These two teamed up to be a formidable force to be reckoned with on the ice.